The Mediterranean attracts Northern Europeans like moths to a flame. Moths who are especially desperate to escape the long, grey winters of the higher latitudes and soak up a bit of sun. And, hey, let’s put it out there: maybe the moths just want to let loose once in a while. Drink sangria, meet lady moths and so on. Maybe they want to forget about their boring day jobs and Nigel, their Prawn cocktail crisp-eating boss. And perhaps they want to try the local cuisine while they’re at it. Yes, Alicante is tourist-heavy, but there are still some excellent tapas to be had. 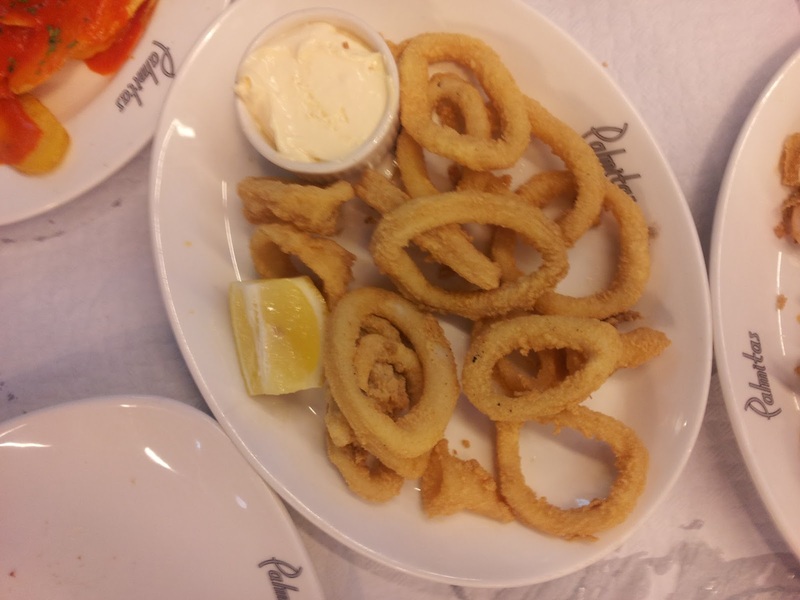 Restaurante Palmitas is worth at least an honourable mention for having avoided commercial pressures to sell out, and kept up its decent menu of traditional tapas in a town drowning in burgers and chips. 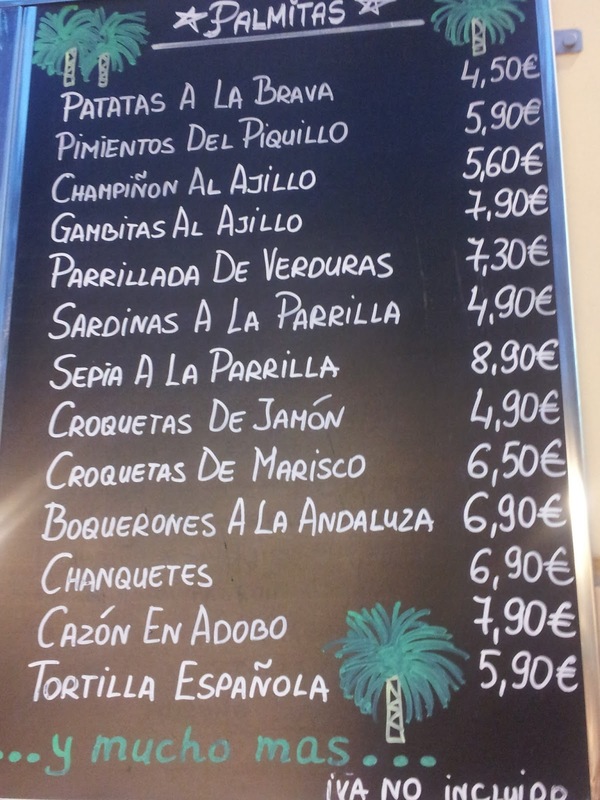 Palmitas has struck the magic formula central to any proper neighbourhood bar in Spain: good food, big portions and mini prices. The only concession to modernity is the refurbishment that has left the establishment sadly lacking in hanging legs of ham (but I’m sure we can live with that). Two or three tapas is enough for dinner (we mean it when we say the portions are big), and you can top off your meal with a visit to nearby ice cream parlour Antiu Xixona. When we ordered a little bread to nibble while we waited for the tapas, we were pleasantly surprised that the good waiters of Restaurante Palmitas brought out the best ali-oli in the world. But, you know. We’re worth it. 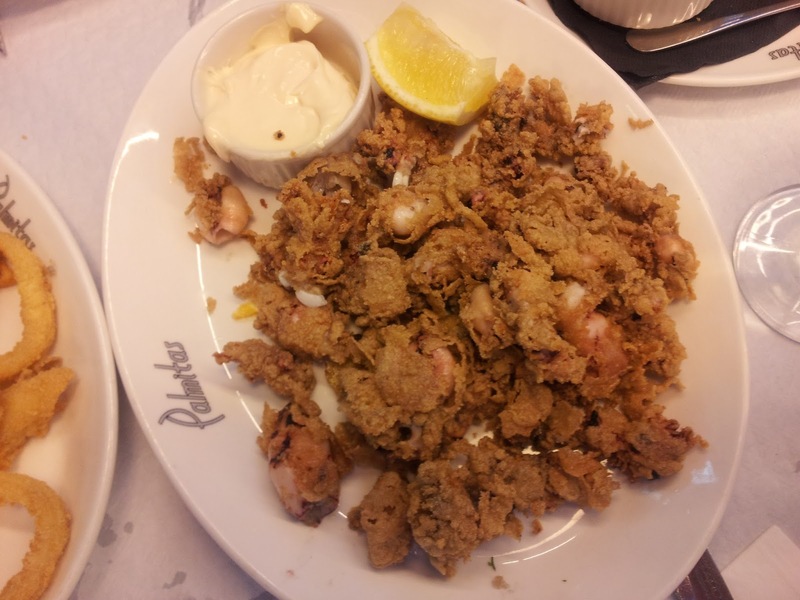 The chipirones (tiny little fried squids)were excellent: fresh tasting and with a melt-in-your-mouth texture. Staff guarantee that all of the seafood served at Palmitas is fried in extra virgin olive oil and is sourced directly from the local area. 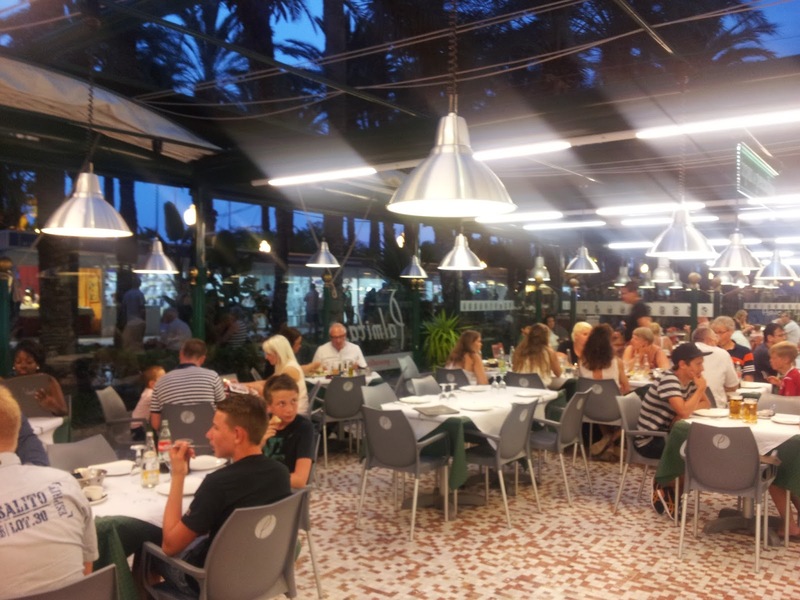 As much as we liked Restaurante Palmitas, so did the pickpockets of Alicante, who tend to look for the easy targets of careless tourists who have left their valuables unattended. Keep tabs on your wallet and you should be fine. The only other criticism? The patatas bravas were a bit meh.